Assist in management of your health through education, specialty products and services. Wellness Center with speciality items for patients with diabetes and wide selection of orthopedic shoes. Free door-to-door delivery of prescriptions to local area patients. Free mail-out available for most prescriptions. Expect the same insurance co-pay as your local pharmacy. Newport Coast Pharmacy will meet or beat your prescription price. It’s free and easy to transfer your prescription – Just call us or bring in your prescription bottle – We will take care of the rest. 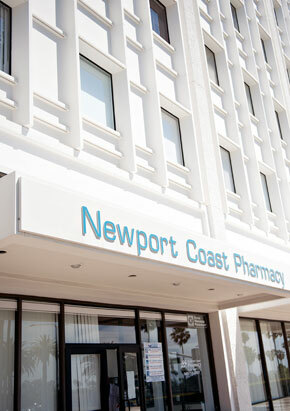 The team at Newport Coast Pharmacy follows a rigorous process to check for harmful drug interactions, to ensure your medication is right and safe for you.